Octoban is a lighting creation characterised by significant but at the same time linear and minimal volumes: Octoban combines the ancient art of the venetian blown glass with a contemporary, rigorous and yet original design. 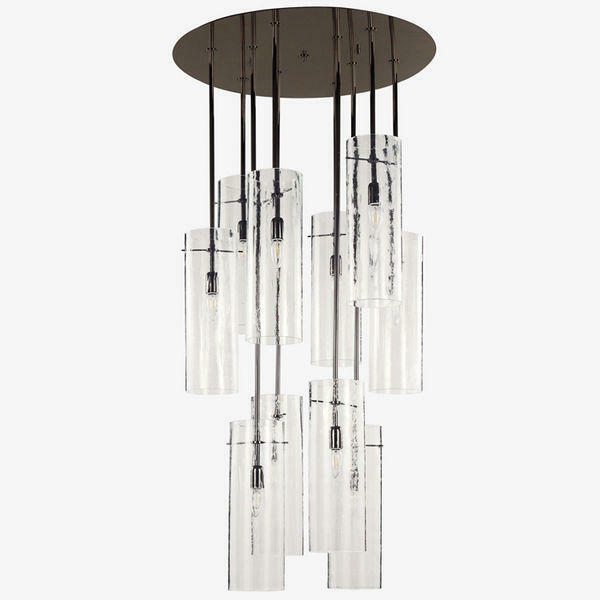 Octoban consists of a metallic ceiling structure, from which the cylindrical elements in blown glass descend; the light source is included inside each of these elements. The remarkable height of this artistic glass ceiling lamp makes it the ideal solution for wide environments, in particular for spaces with high ceilings, such as stairwells and halls of both public and private envinroments. This lighting solution can also be customized and resized for smaller locations.